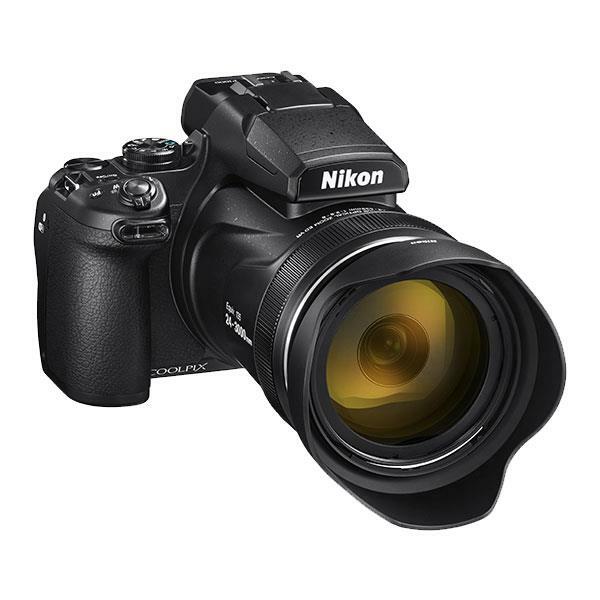 The Nikon P1000 features an incredible 125x optical zoom which is a focal length range of 24-3000mm (35mm equivalent). You can zoom even further with 250x Dynamic Fine digital zoom, which gives you an equivalent focal length of 6000mm. 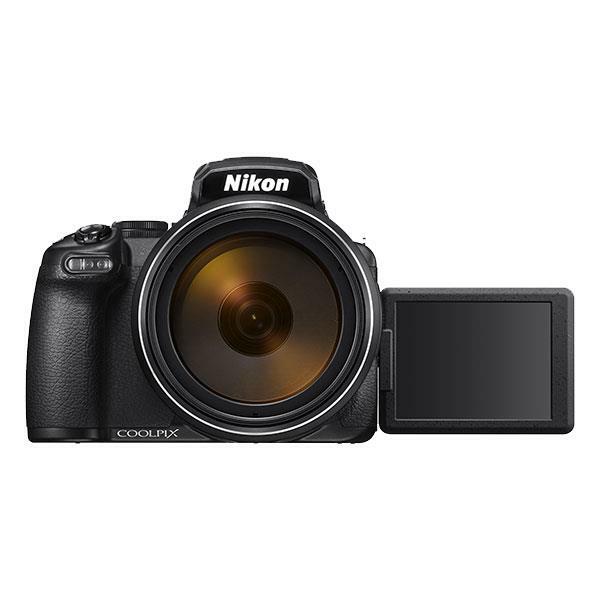 To help keep your images sharp using this extreme zoom range, the P1000 includes Nikon's Dual Detect Optical Vibration Reduction, which provides 5 stops of optical image stabilisation. A 16MP backside illuminated CMOS sensor ensures high quality images even in low-light. 4K video recording at 30 or 25 fps is also featured along with a 3.2" vari-angle, 921k-dot LCD monitor and an 2.36m-dot electronic viewfinder. Stay connected and easily share images with built-in Wi-Fi and Bluetooth. Capture sharp photos and videos of subjects that were out of reach, until now. Moonscapes, wildlife, distant aircraft, the 125x optical zoom is the world’s biggest. Its focal-length range of 24–3000mm (35mm equivalent) puts amazing within your reach. 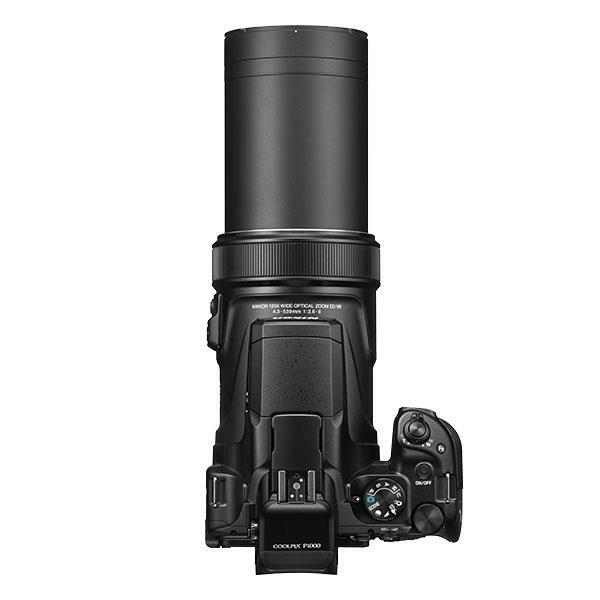 The 250x Dynamic Fine Zoom digitally extends the upper zoom limit to an incredible 6000mm. Nikon’s Dual Detect Optical Vibration Reduction (VR) system lets you shoot up to five shutter stops slower than would otherwise be possible.⁴ The effects of camera shake are minimised even in low-light situations, and you can capture sharper stills and movies without under-exposing. VR Active mode delivers a more stable viewfinder and monitor image, which is ideal when you’re on the move. The sensitive backside-illuminated CMOS sensor and bright f/2.8-8 NIKKOR lens give you the freedom to shoot in low light. 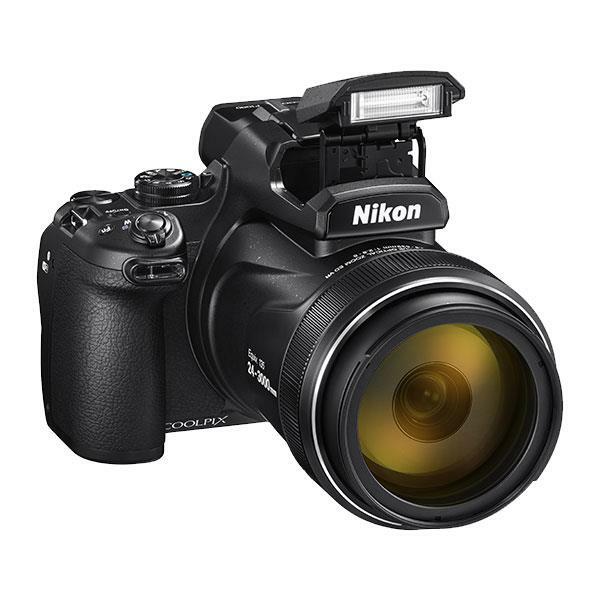 Nikon’s powerful EXPEED image-processing engine and advanced lens technologies minimise distortion even at high zoom. 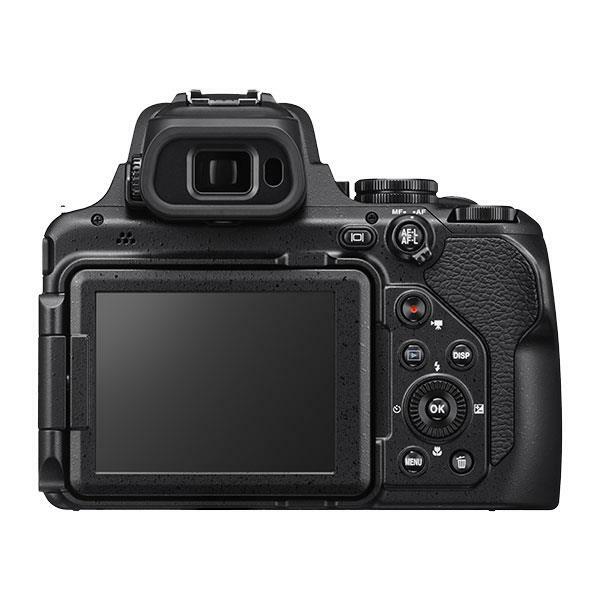 The fast autofocus system lets you shoot action at up to 7 fps. And RAW support lets you save and export uncompressed image files to your processing/editing program of choice. Easily record 4K/UHD 30p footage, or Full HD (1080p) video at frame rates of up to 60p. The camera supports clean HDMI out, so you can output videos to an external monitor during recording. And the camera’s built-in microphone jack allows use of an external microphone for sharper sound. In-camera movie functions include Superlapse, which lets you create a fast-motion sequence of changing landscapes and unique perspectives. And Time-lapse is perfect for recording skyscapes, star trails, and the passage of the moon across the night sky. Nikon’s SnapBridge app keeps your camera constantly connected to your smart device via Bluetooth® Low Energy. Sync photos to your device as you shoot, without having to reconnect each time. Transfer movies manually whenever you want via the camera’s built-in Wi-Fi®. SnapBridge updates your camera’s location and date via the GPS on your smart device, making it easy to track your telephoto odysseys. And the app lets you use your smart device to operate the camera’s zoom or release the shutter.